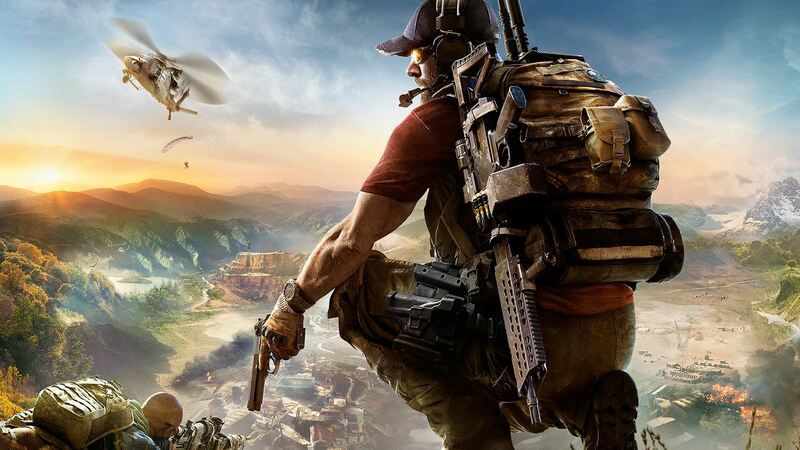 Welcome back to a modern era Ghost Recon set in an open world. 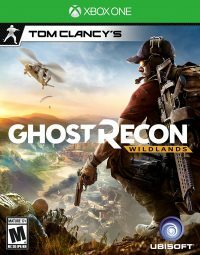 Ghost Recon: Wildlands is an open world tactical shooter. It takes place in a modern era Bolivia, taking a step back from the previous game’s futuristic setting. You and three other “ghosts” are tasked with taking down the world’s largest producer of cocaine, El Sueño. Getting to the head boss requires you to kill or capture the different head bosses of the cartel. You’ll need to gather intel to discover the locations from lower bosses on the chain of command. The more intel you gather, the easier it will be to reach your target. This allows you to tackle the game any way you choose. You can create a character that represents your style. There are plenty of different clothing options to choose from such as shirts, pants, boots, vests, backpacks and maybe even an eyepatch. The amount of variations you can pick from are astounding. You and three friends could make matching squad outfits to stand out. This allows you to break away from the cookie cutter look of being too similar to another player. Single player has three AI ghost members that follow you around to each mission. They have no personality and are invisible to the enemy until an enemy is alerted. Up to three players can join your mission to take their place. You can easily invite friends or join matchmaking while you’re exploring Bolivia. This allows players to jump in and out at your leisure offering you help on missions. Every Ghost has the same skill tree. There are no set classes, but as a group you can choose amongst yourselves who focuses on their strengths. One ghost in my group dedicated all of his points towards the drone skill tree. This allowed him to have night vision, longer range, stronger battery to last longer and even an EMP that disables electronics. After the drone tagged all the targets, I easily sniped any that were in my vanishing point. Setting up these kind of plans with your teammates feels so great when it is perfectly executed. Bolivia is filled with tons of collectibles. You’ll need to find the intel from computers, civilians or interrogating enemies. Some intel will reveal locations of resources, weapons or even locations of higher tiered bosses of the cartel. These will help you upgrade your ghost as you plan for the best way to approach your next target. Bolivia is a large open world that feels barren when running around with bots. Trying to play with people you don’t know online is even worse. There never seems to be a sense of cooperation going on with either. It’s hard to tell if you’re playing single player or with a group since both lack in the competence department. Matchmaking is a headache. 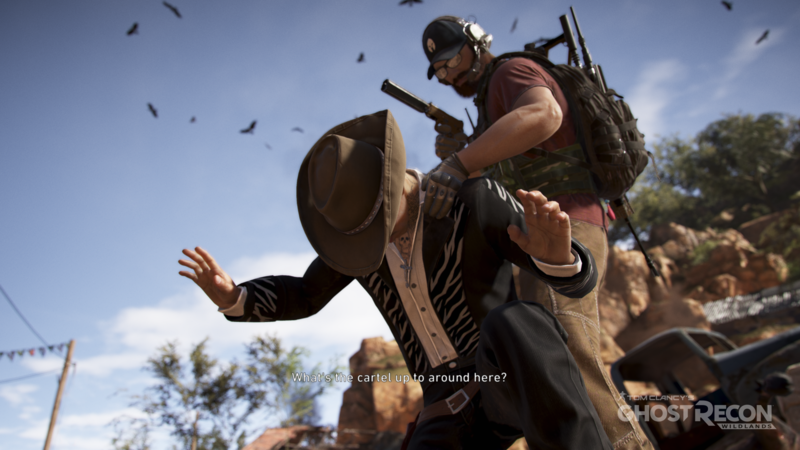 Players are often doing their own missions while you’re stuck tagging along on a mission you’re not even up to in story mode. It’s almost impossible to host your own game unless you know people that you can invite to help you out. If you aren’t the host of the game, you’ll only get an assist for a mission. Ubisoft created one of the biggest maps ever seen in their games. While this is a nice feat, it doesn’t excuse the overall repetitiveness. Far too often it feels like you’re doing the same type of mission over and over, and this becomes more apparent when you’re playing single player but not so much online. You can see how massive Bolivia is when you stand on a high mountaintop but have to wonder why so much of it is the same. It seems kind of pointless to search for guns if you already found a load out that best suits your play style. The enemies you’re fighting never become stronger or smarter. You can easily snipe an entire outpost with no one ever knowing regardless of using a sniper or assault rifle. The starting weapons all come with suppressors so it’s rather hard to be heard unless you miss a shot. Ghost Recon: Wildlands shines best when you and three other friends are in a squad. Strategic planning all comes together perfectly when you all communicate and fulfill each of your roles. There is something oddly satisfying when everyone works together to complete each mission. Having each player focus on a different skill tree allows for a great deal of diversity. However, these skills would feel more useful in a non-open world environment. The Xbox One version of the game was rented by the reviewer.